Imagine the freedom of having the same large size image from just half the traditionally required throw distance! Having increased placement flexibility and more efficient use of available space. That's the magic of short-throw! With a projection distance this close, you will be able to move freely, without casting distracting shadows on the screen! High contrast ratio adds depth to an image and is essential to provide crisp image detail. The high contrast ratio in the MW632ST helps produce images with stunning clarity and fine detail for sharper, easier to read text, graphics and video for more memorable presentations. 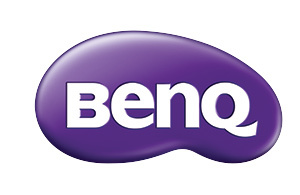 The high brightness of the BenQ MW632ST helps overcome most ambient light conditions to ensure your message will be seen clearly, even with the lights on. Compatible with today's digital sources, the MW632ST provides Dual HDMI ports to satisfy your digital connectivity needs as well as dual VGA ports for traditional analog sources. You can now share content from your favorite MHL enabled devices on the big screen. The MHL functionality in the MW632ST allows you to display pictures, movies and games from MHL enabled Android devices to the big screen. Powering your peripheral devices such as Chromecast or Roku stick is easier than ever with the built-in power enabled USB port, providing up to 1.5 Amps of power to eliminate the need for external power connections. 2D keystone correction provides the ability to correct vertical and horizontal keystone errors when the projector is placed off center form the screen. Ideal for use during quick setup table top presentations. Powerful Built-in 10W speaker provides ample amplification to ensure your message is clearly heard. Incorporating BenQ's renowned SmartEco lamp saving Technology, the MW632ST not only offers greater energy savings, but continues to deliver amazing picture quality through this innovative technology. SmartEco mode is designed to use only the exact amount of lamp power a projector needs to deliver the best contrast and brightness performance. This feature enables the MW632ST to deliver uncompromised projection quality with the added benefit of reduced the total cost of ownership by extending the lamp life and lowering power consumption.